Any good console game that’s worth its place at the top of the gaming charts will invariably have an accompany mobile app to compliment it. It seems to be commonplace for game publishers to bolster the launch of their title by offering a mobile app on the likes of iOS and Android that comes with varying functionality. Electronic Arts is undoubtedly one of the biggest players in the video gaming world, and as such have become the latest development house to launch an app to accompany their hugely popular Battlefield 4 console game. As we’ve moved further and deeper into the mobile age we’ve started to see gaming apps become a lot more in-depth, stepping away from simple static content and information. 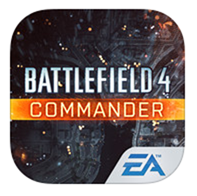 EA has already proven time and time again that they see a big future in mobile, with this commitment being immediately evident within the Battlefield 4 Commander app for the Android and iOS platforms. Rather than merely bundling limited functionality into the app to appease users, EA has gone as far as possible with this launch by offering real in-game benefits for using the tablet-centric app. To be able to take advantage of the app, gamers will need to own a copy of the Battlefield 4 title on at least one platform. There is also a requirement that the user has an active soldier with a rank of level ten or higher. If both of those requirements are satisfied, then gamers can expect an app that will allow them to deliver critical intelligence to comrades, deploy any necessary war assets when required as well as utilizing the power of mobile to take control of squads during multiplayer gameplay. 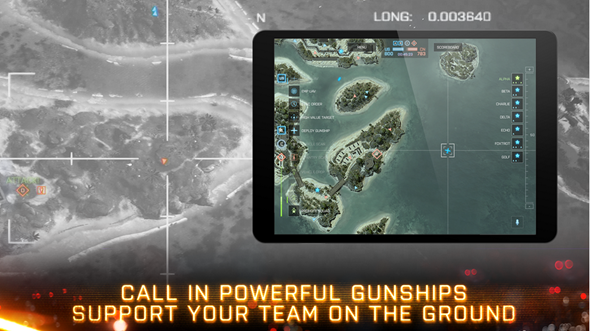 The nuts and bolts of the Command app is centered on leadership, intelligence, communication and instantaneous support, with the hope that gamers can gain a tactical advantage over the opponent. 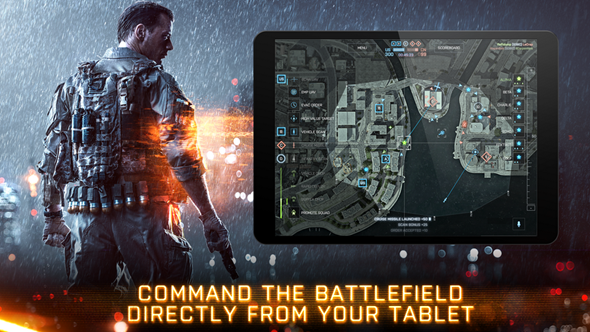 The Battlefield 4 companion app won’t go as far as letting you actually play the game on your tablet, but this is pretty much as close as it gets to the real thing. Early reviews of the app all seem to suggest that EA are onto a winner with the idea, but also indicate that the execution and reliability is somewhat lacking. 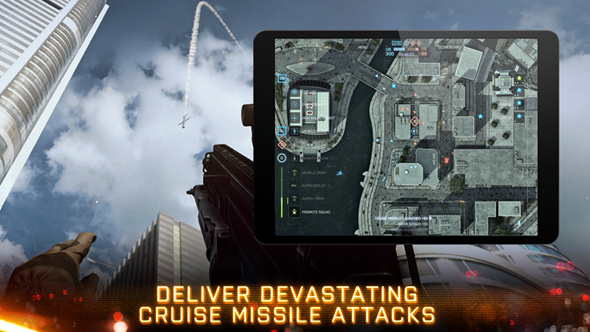 If you’re a Battlefield 4 enthusiast then check out the app for yourself using the platform specific links below.